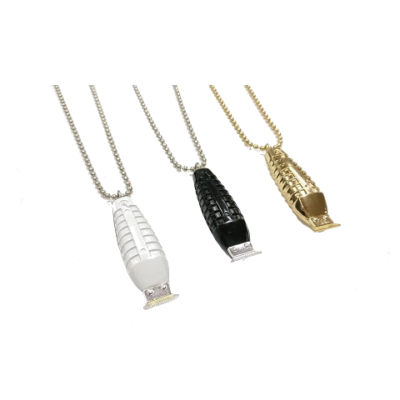 Show the world you are a barber with this unique clipper necklace! The pendant measures 2" in length and comes with a 24" ball chain in matching color. Also included is a key ring to attach the pendant to instead of wearing it around your neck. Each necklace comes in a sleek black lined box. Available in black, gold, or silver.